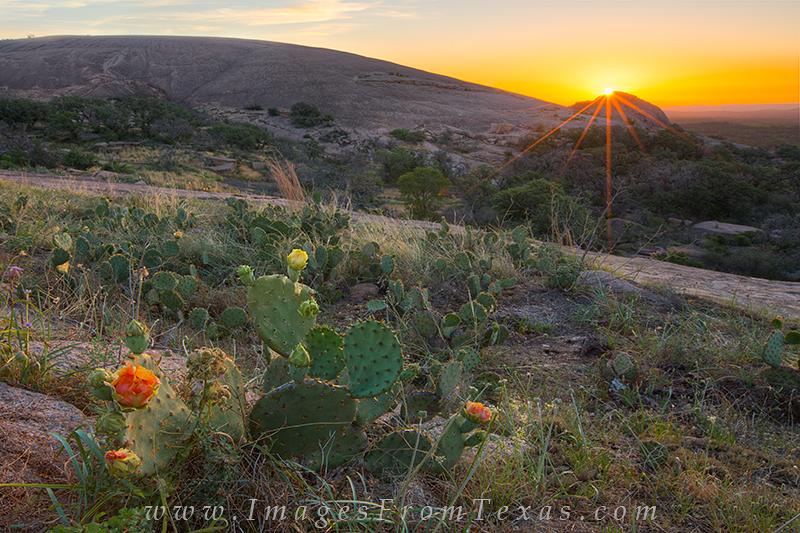 Prickly Pear Cacti close their blooms at night, but I was still able to find some color for this sunrise image at Echanted Rock State Park in the Texas Hill Country. The sun is rising over Turkey Peak in the distance. Photo © copyright by Rob Greebon.